Many of the illustrations on the Studium website are details from The Panel of St Dominic, a Medieval work of art which is currently at the Museu Nacional d'Arte de Catalunya (or MNAC) in Barcelona, Spain. For our images we have used the Wikimedia Commons image file available at http://commons.wikimedia.org/wiki/File:Panel_of_Saint_Dominic_-_Google_Art_Project.jpg. 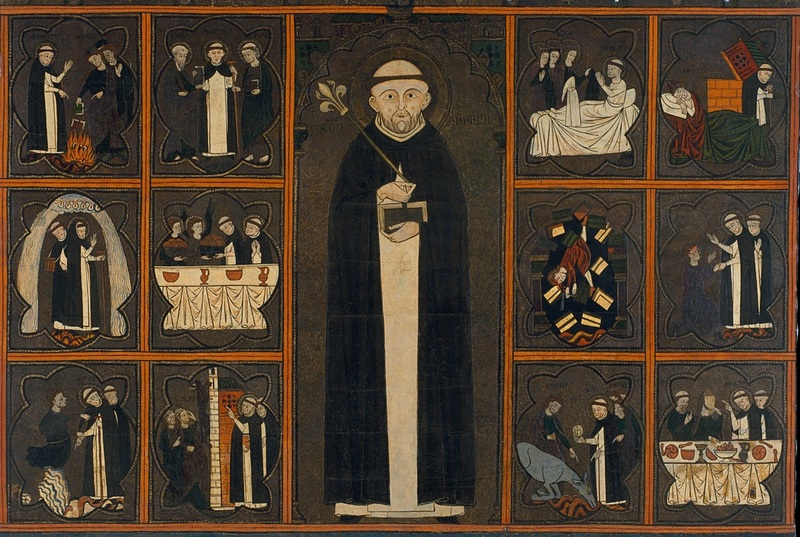 Here is a picture of the full Panel of St Dominic.